The new USE-IT map for young travellers just arrived! 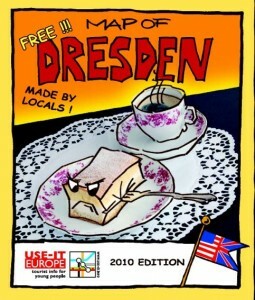 In this second edition you will find again lots of useful information about Dresden and the real places to go to. 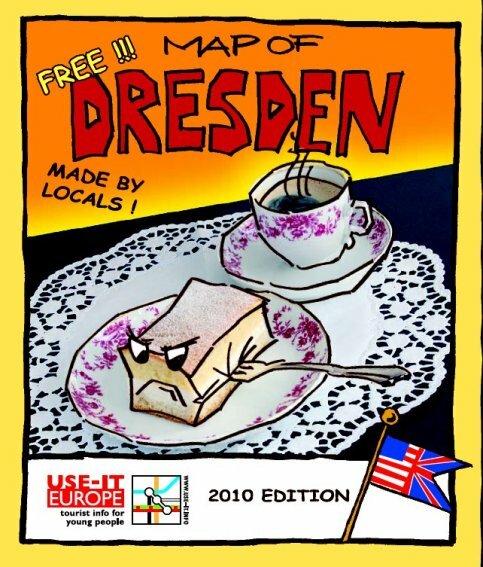 The maps will be available at the hostels, the tourist information, the train stations and in many hostels in the towns around Dresden, so you will be able to pick one up even before you arrive to Dresden. USE-IT is tourist info for young people. USE-IT publications contain information that young travellers really need. Where are the free concerts? If there’s one museum I have to see, which one? Do girls also pay drinks around here? How do I stop looking like a tourist? USE-IT does not make publications with „something for everybody“, but chooses to aim at a specific target group with specific needs. USE-IT gives real information instead of promotional talk. USE-IT does not work with reporters from another country who go somewhere for a couple of weeks and then make a tourist guide, but with locals who have an inside view. USE-IT does not let any shop, museum, restaurant, bar or club pay to be on the publications, but chooses independently. Also, USE-IT does not let young people pay to get the publications, but gives everything for free. The organization always works with government money. USE-IT does not make a few phonecalls to update the prices of restaurants and hotels and then call it a new edition, but always checks all the information for every edition.